New! 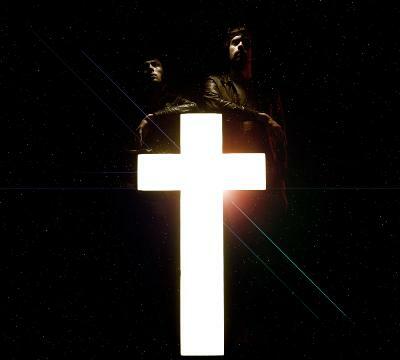 Justice – "Beginning of the End"
Here is Justice’s new single. It’s dark, in a light horror movie/evil boss stage in a 90’s video game kind of way. Honestly, this doesn’t do anything for me. It’s a cool beat, but feels like a completely empty song. For me, new Justice is mostly exciting because I’m sure some people will get creative with the remixes, like when Wale killed “D.A.N.C.E.”. UPDATE: Apparently, this may be fake. It was sent out in mysterious emails with little information, and now rumors are swirling that it isn’t real. I’m half hoping that this is true, because it’s pretty unimpressive. I remember when there were almost as many people rapping over "D.A.N.C.E." as people rapping over "I Wanna Rock" and "Exhibit C" now haha. None of them even compared to W.A.L.E.D.A.N.C.E. though. Yeah that was a great instrumental to hear rappers over. Way different than your average hip-hop beat that everyone gets on.And to be honest, I still don't see what's so great about Exhibit C.
Yeah what stood out to me about Exhibit C was Jay's flow and lyricism. But from the snippet of "Dear Moleskin" in this trailer (http://www.youtube.com/watch?v=6cA010JeecE) I feel like thats going to be an amazing beat. Cool, thanks for linking back to me. « Corinne Stevie – "Cristal On The Moon"